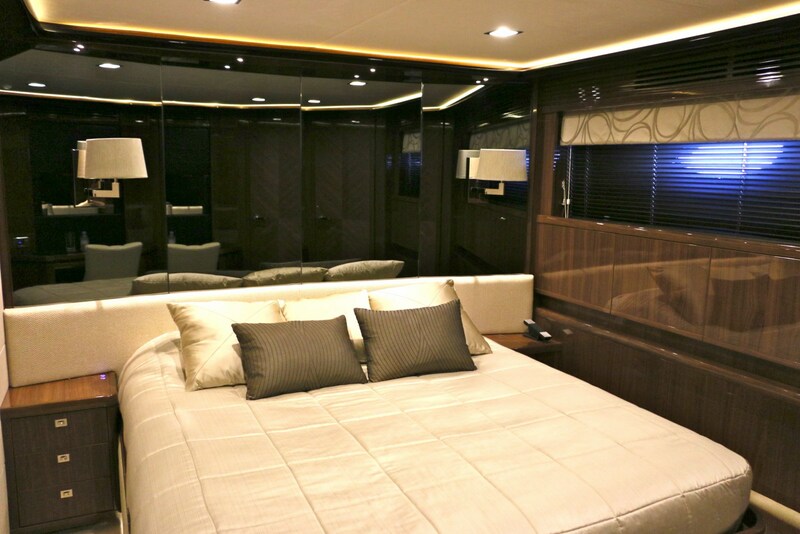 Crewed charter yacht LADY BEATRICE has a stylish interior décor, with a contemporary timeless ambiance. 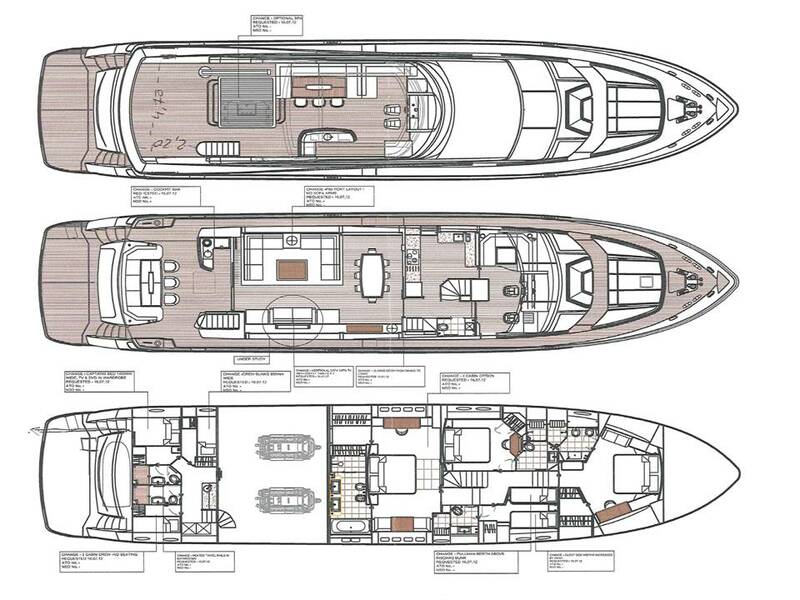 The main salon is set in an open plan, with a generous lounge aft and formal dining forward. 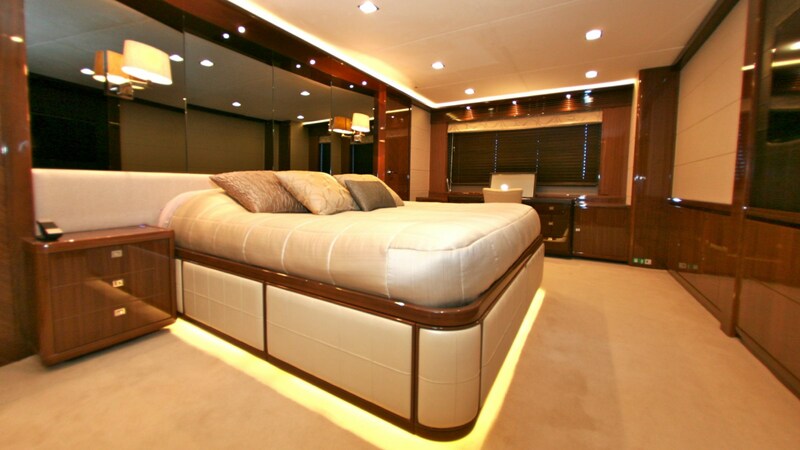 Beautifully finished wood floors, high gloss joinery, white headlining and soft furnishings create a sophisticated and refined feel. 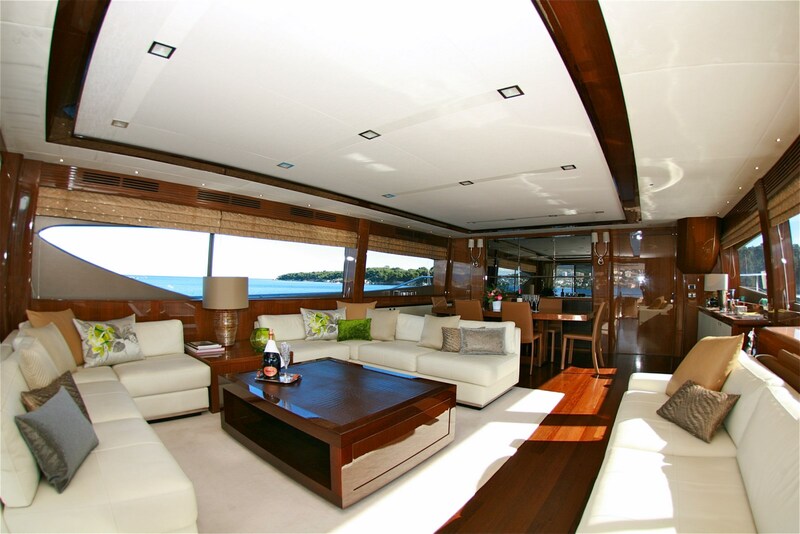 The lounge boasts 3 large sofas, a coffee table and full entertainment systems. 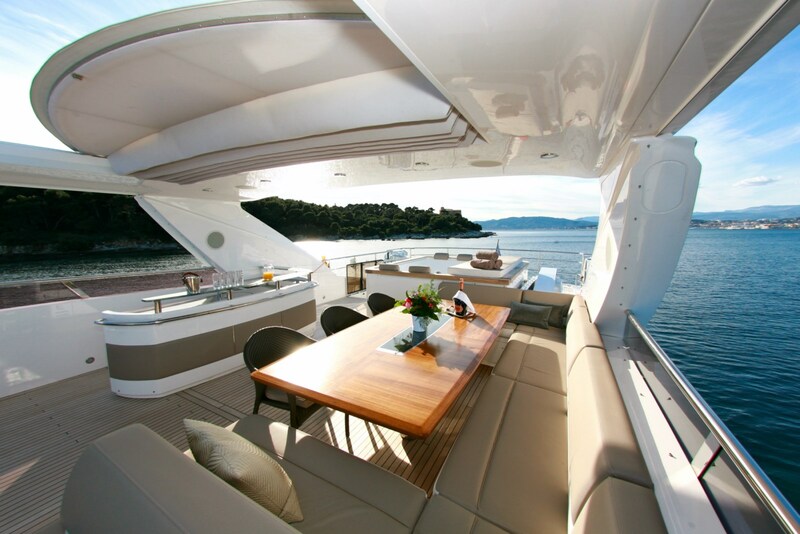 The formal dining is elegant, featuring an exquisitely finished high gloss table and high back leather seating. 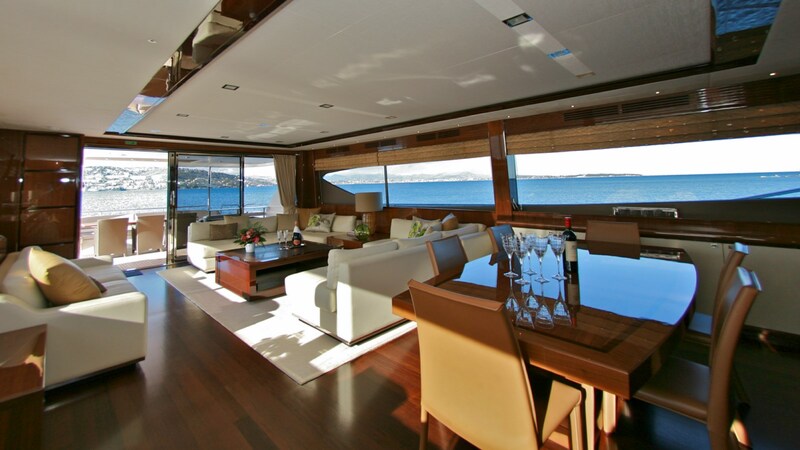 Elongated side windows infuse the salon and dining with ample natural light, while providing spectacular views. 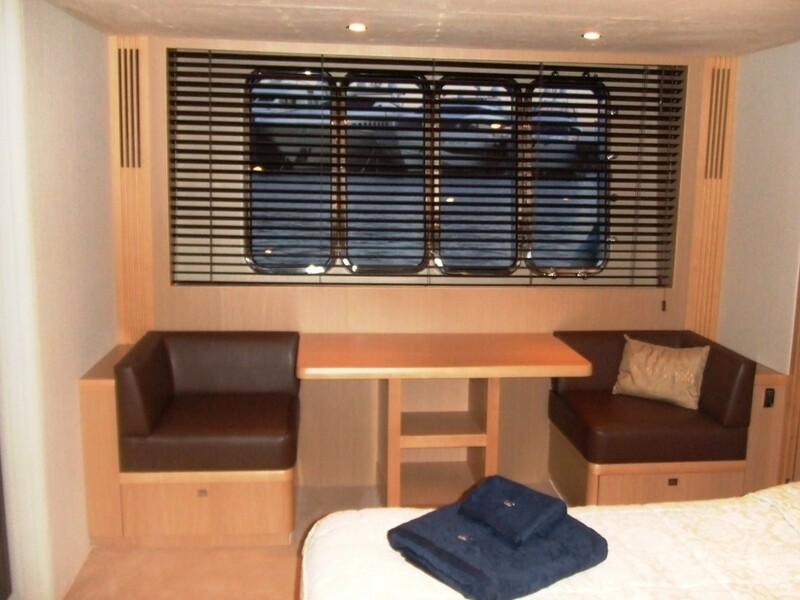 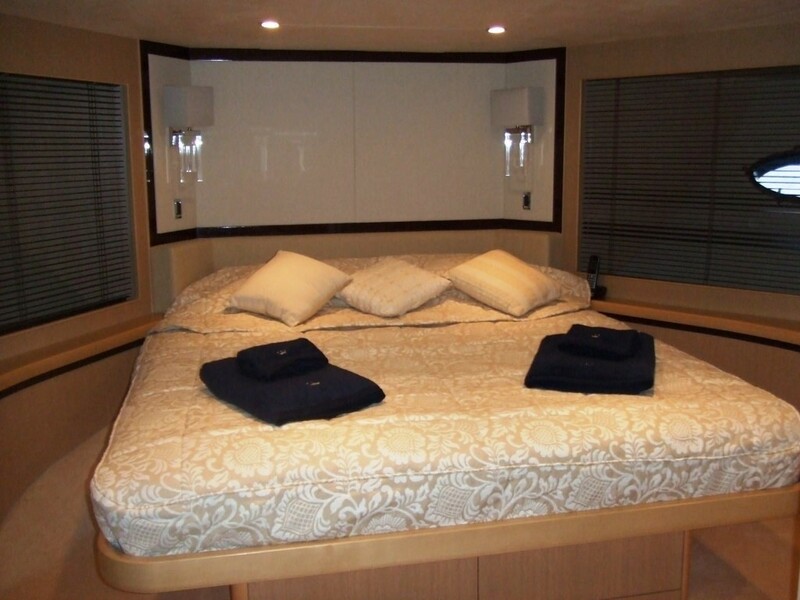 Below decks are 4 guest cabins, each with private en-suite facilities and TV/DVD entertainment. 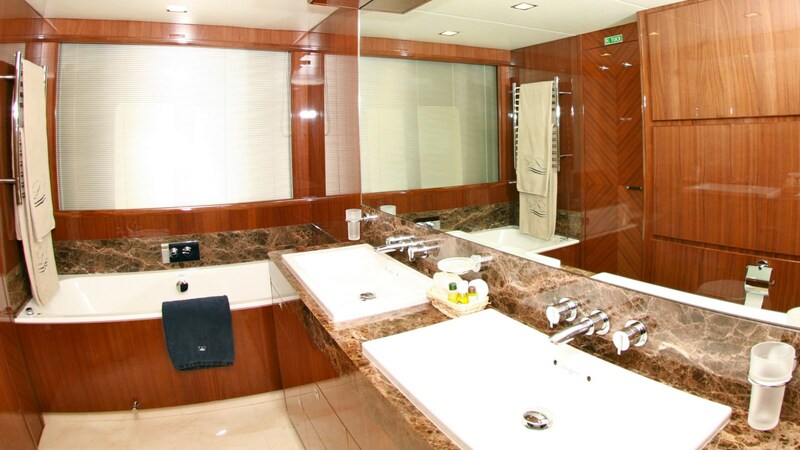 The Princess 98 motor yacht LADY BEATRICE has plenty of exterior living on 2 levels. 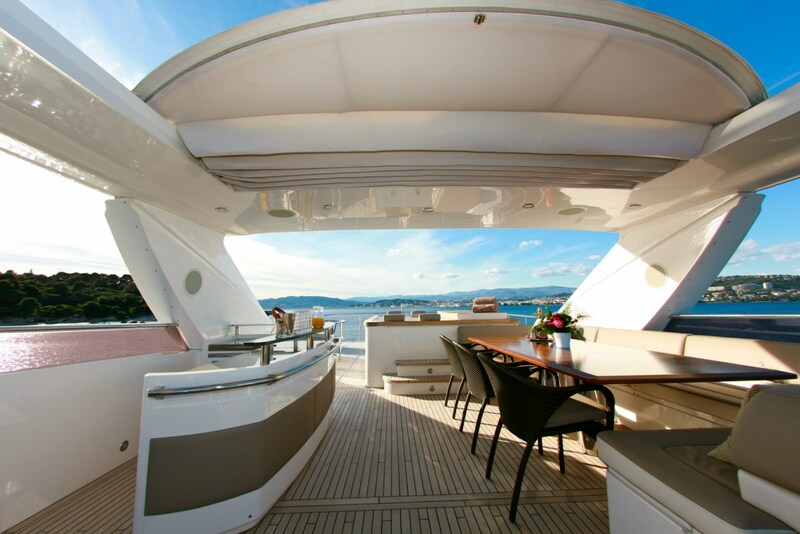 The main deck wraps around the yacht 360° and has a shaded aft deck, seating, alfresco dining option and direct access to the salon. 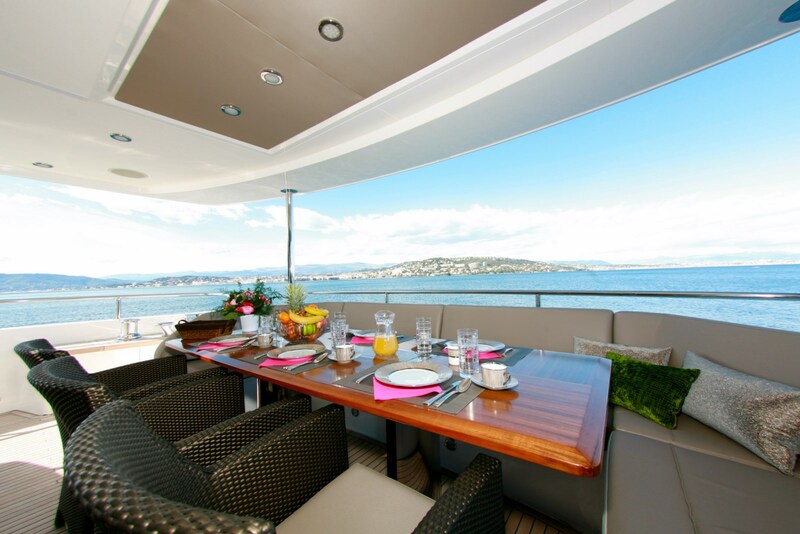 On the foredeck, a further alfresco dining option is perfect for light lunches or evening canapés, while the adjustable sunpads further forward, are inviting for the sunlovers. 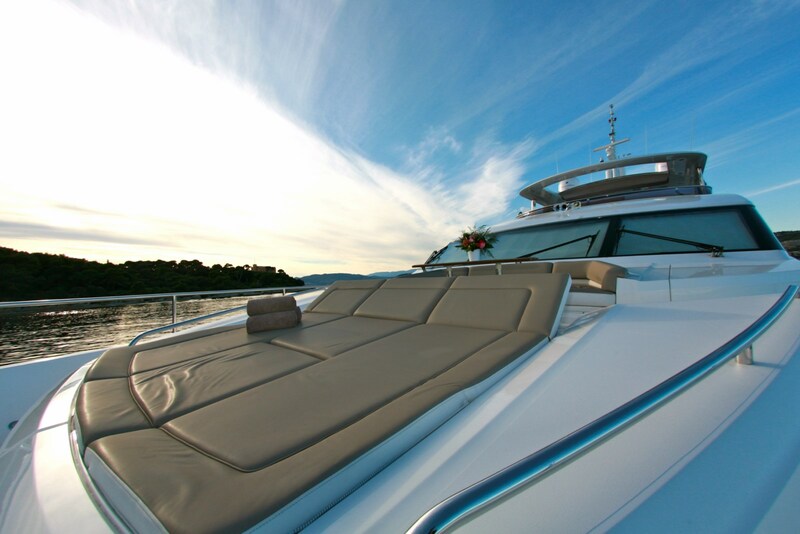 On the upper deck, guests can relax and entertain in style, thanks to an additional alfresco dining option, wet bar, sunning area, deluxe Jacuzzi tub and optional retractable roof top, offering partial shade. 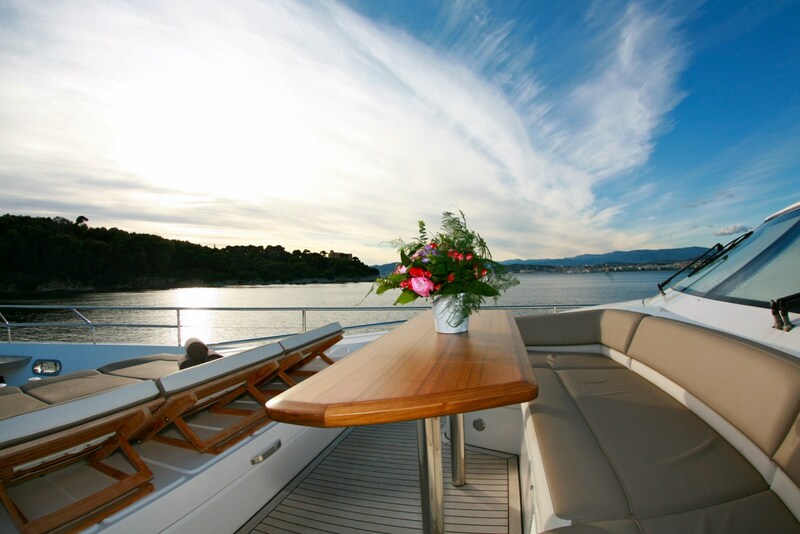 M/Y LADY BEATRICE features an extended swim platform on the transom, ideal for effortless water toy fun. 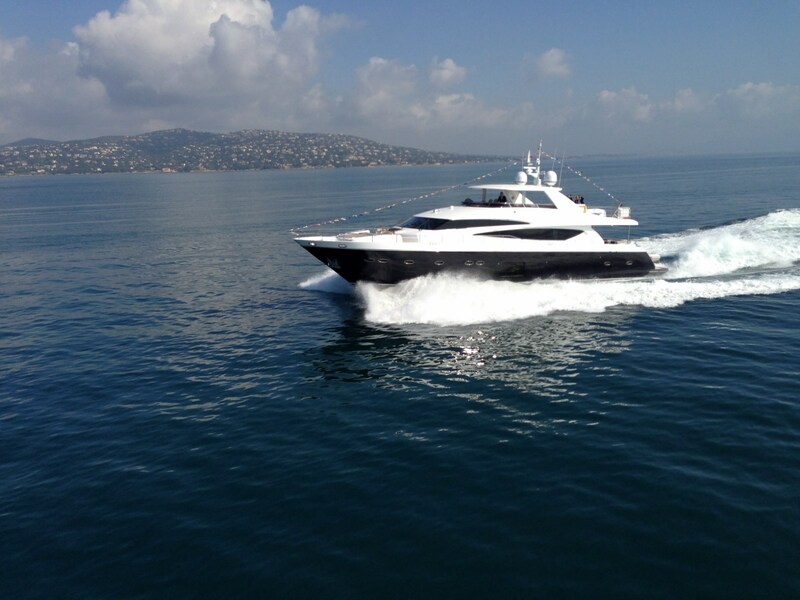 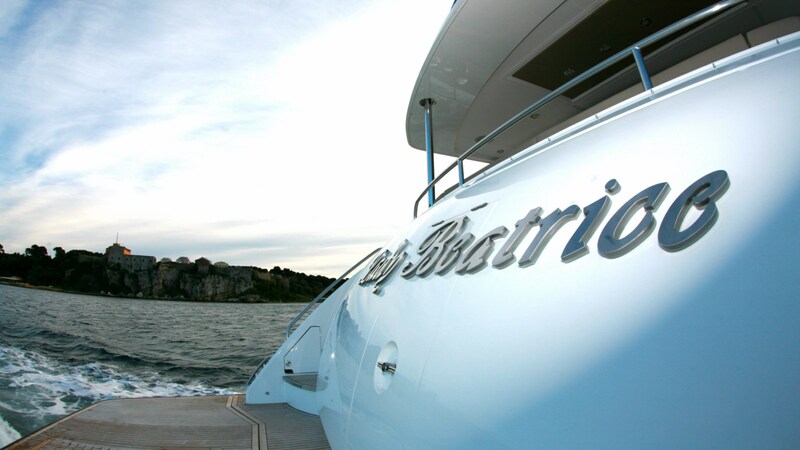 Powered by 2 x MTU 2200hp engines, the LADY BEATRICE motor yacht has cruising speeds of 22 knots and can reach top speeds of 25 knots. 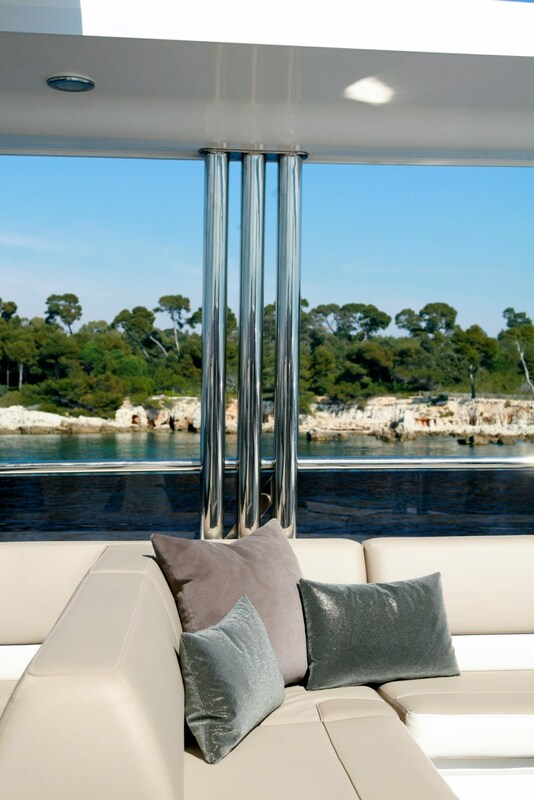 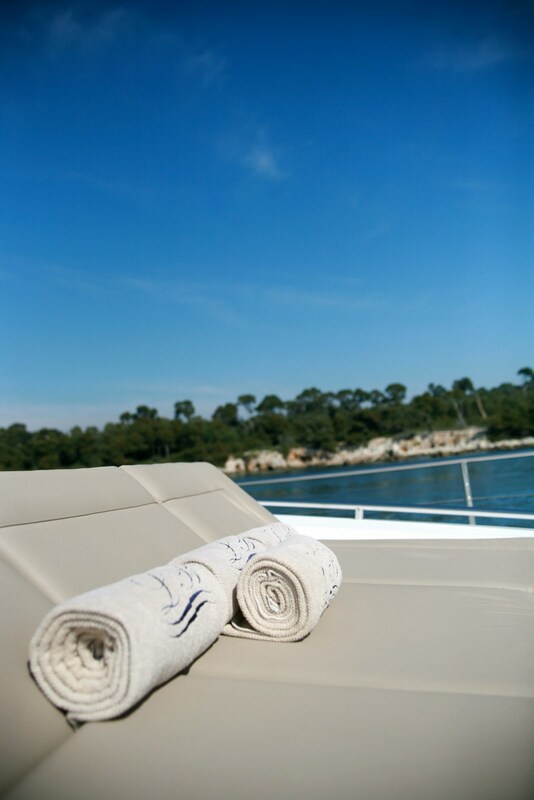 At anchor TRAC stabilizers ensure optimum comfort aboard yacht LADY BEATRICE. 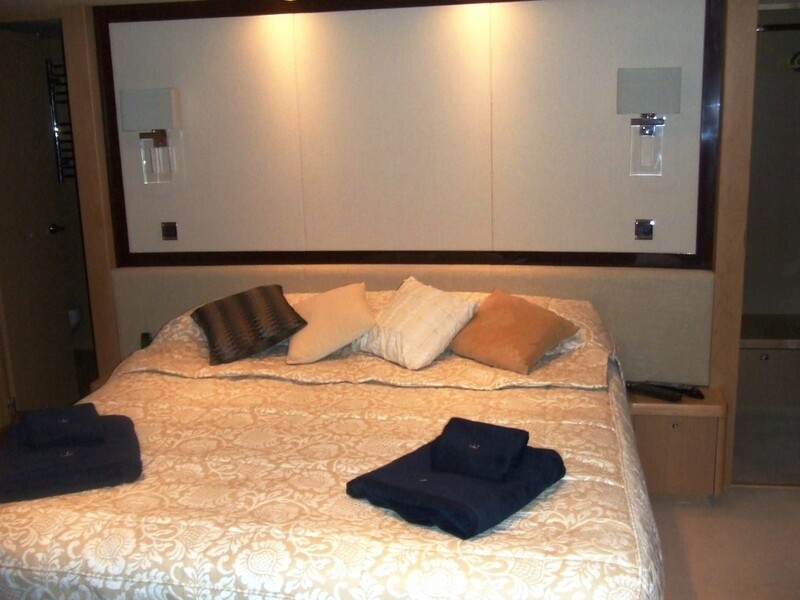 Luxury charter yacht LADY BEATRICE has accommodation in 4 cabins on the lower deck, for up to 9 guests. 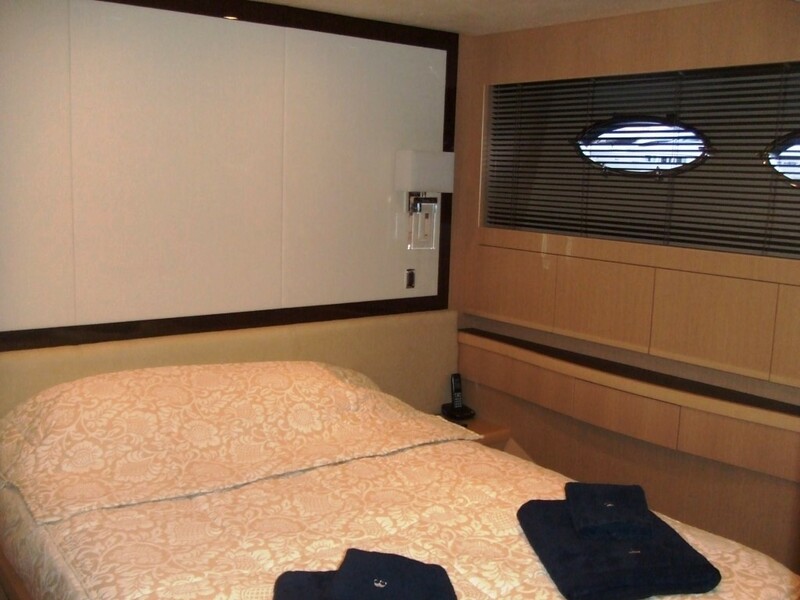 The master stateroom is amidships and full beam of the yacht, offering a center lined double bed, seating area with table and separate vanity. 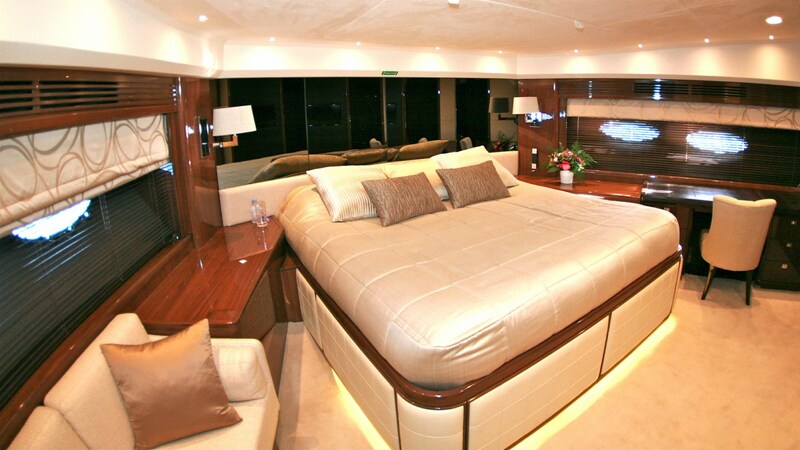 A full beam VIP cabin is forward, featuring a center lined double bed, sofa and vanity. 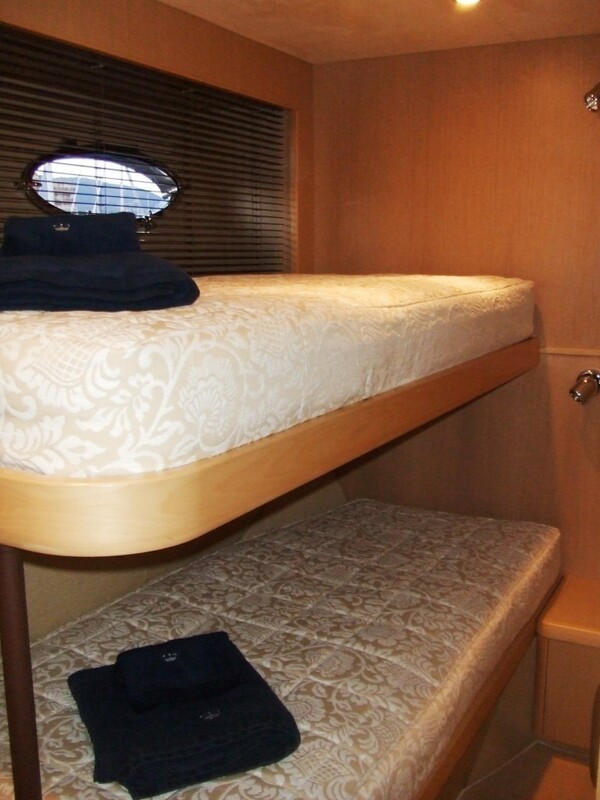 A guest cabin has a double bed, while a further guest cabin offers side by side twin beds and a Pullman berth. 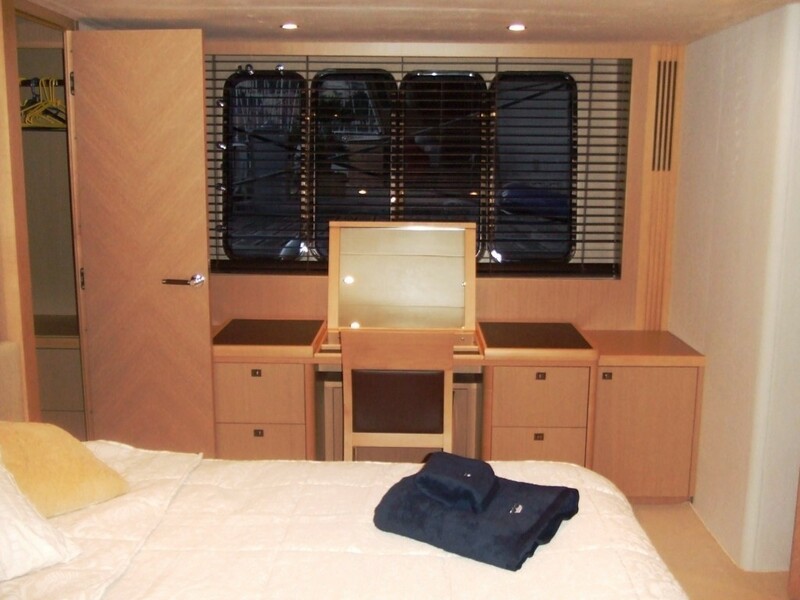 All 4 cabins are fully air conditioned and boast TV/DVD entertainment.